I was kindly nominated by Hannah from Pull Yourself Together. She is one my favourite bloggers because she is so consistent in updating her blog; I also love her style and admire her courage for speaking so openly about depression. On a personal level, her posts really have helped me and I know that they help so many others. I love the idea of this tag, it's so uplifting. 3) Post your 8 photos of happiness - the photos can be anything that represents a moment, object, place or feeling that makes you happy. 4) Pop in a brief description of the photo, why you chose it or just let the photos do the talking! 5) Spread the happiness and tag up to ten other bloggers! I am absolutely mad about the performing arts. I started acting classes at 6, and later took up piano, flute, singing, ballroom and latin dance. Although piano is my strongest area, I don't think I've ever felt happier than when I'm on stage. This photo was taken aged 13, when I got my first title lead role in 'Daisy pulls it off'. 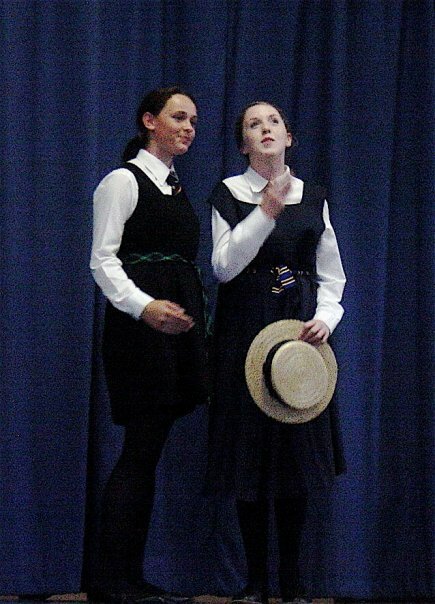 It was only a school production, but for someone who had very low self-esteem and had done so many productions and only got the 'chorus' or small role parts, it felt really special. Two years later I got to play Eliza Doolittle in My Fair Lady, and I don't think I would have had the guts to audition had I not already played this role. My drama friends at school were brilliant, and we were such a tight knit group. Nobody has ever made me laugh harder than those people. 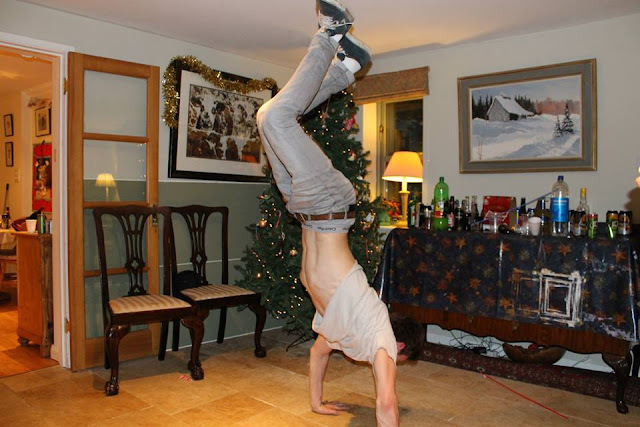 As I have a December birthday, I had a Xmas theme, and most of my parties have been themed. We all had great time, although I do remember cleaning the house at 3am with Mum because it was Christmas Eve the day after... she wasn't impressed. 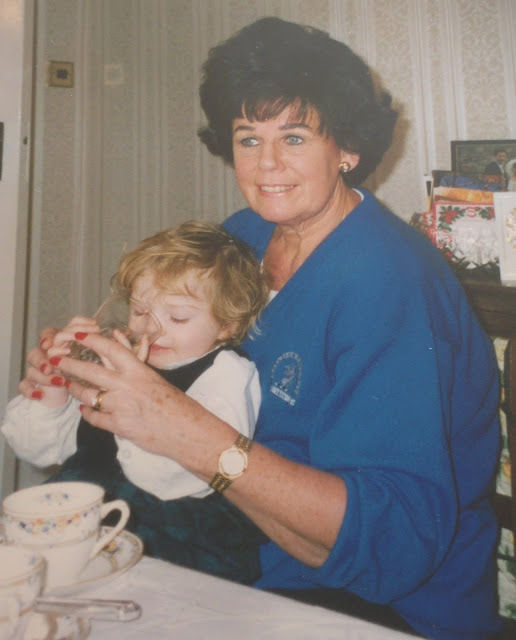 This is me and my Granny, who is a massive inspiration for me. I think my love for fashion and beauty came from her. She always had perfect nails, Gucci watches and a timeless sense of style. She did so much in her life: Parisian finishing school, then took over her Dad's wine merchant business in Chelsea, and worked for Gucci Timepieces. Later in life, she worked for charities and currently works for a Champagne academy even though she's in her 70s. She's outspoken, hilarious and driven. Barcelona 2014. This was crazy! It was the typical first holiday without the parents, just after our A levels. 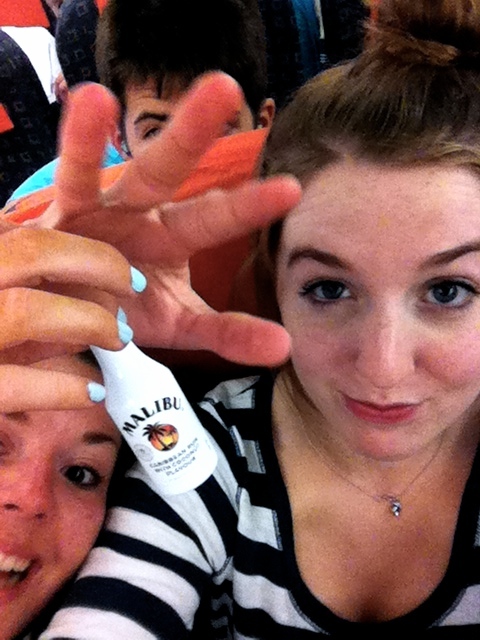 We got tipsy on the EasyJet flight on mini Malibu bottles which I've kept as a momento. We had the best time. The stand out memory from that holiday was going to a club called Razmatazz and the boys forgot their ID, and us girls partied until the club closed around 6am. It was the perfect celebration for 2 years of hard work and well earned freedom. We then got stuck at the airport on the way home and had to sleep on the floor. Ellie and I decided that singing rap music very loudly at 3am was a good idea, as well as spending all my left over euros of Absolut Vanilla vodka and then drink it neat. I did get some dodgy looks. There was a pub near our secondary school that we always went to in our last year of A levels. It was special for all of us because they serve Stowford Press cider, which you can't get anywhere in Liverpool, I've tried! I probably should have spent more time at college than the pub, but that last year was wonderful. This was Halloween 2014, my first year at Liverpool. This year has been bittersweet in that there have been incredible highs and very desperate lows. But these kids were so much fun to be around. I had an absolutely wonderful time whenever I was with them. I had no idea that the first person I met at uni was then going to end up being my boyfriend. They always say don't sleep with your flatmate, let alone go out with them! I am forever grateful that there is someone who has seen me at my best and my worst and never thinks any less of me; my first year would have been so different if we hadn't met. Skiing holidays are by far my favourite, but this was the best one. One night, Lucy, Jessica and myself went to a bar that had a board of drinks where the price changed every 60 seconds. We had a great time, above are 'after eight' shots. We then went on to find our parents at a karaoke bar and then went to this strange nightclub, with our parents!! I never thought I would say that I've been clubbing with my parents, but sadly I can. The first term of uni was so blissful; very little commitment, just partying and shopping. 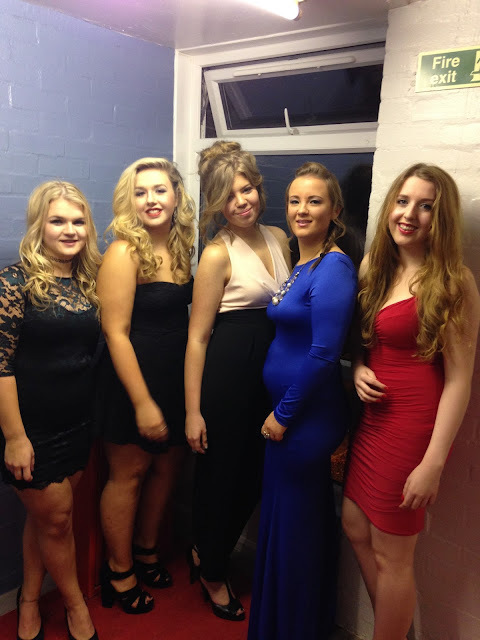 This was from the Medics Ladies' dinner, and we had a fantastic time. This was also poignant for me because it was the first time I felt accepted. I didn't feel like I was the 'fat friend' or whatever, I was so nervous about wearing this bodycon Missguided dress, but I felt great and had a lovely time, but drank way too much sparkling wine!